I stared at the card and message for a few moments, then clicked ‘Buy-it-Now.’ I had to secure this image to add to the historic record of Palm Beach County and the city of Boynton Beach. 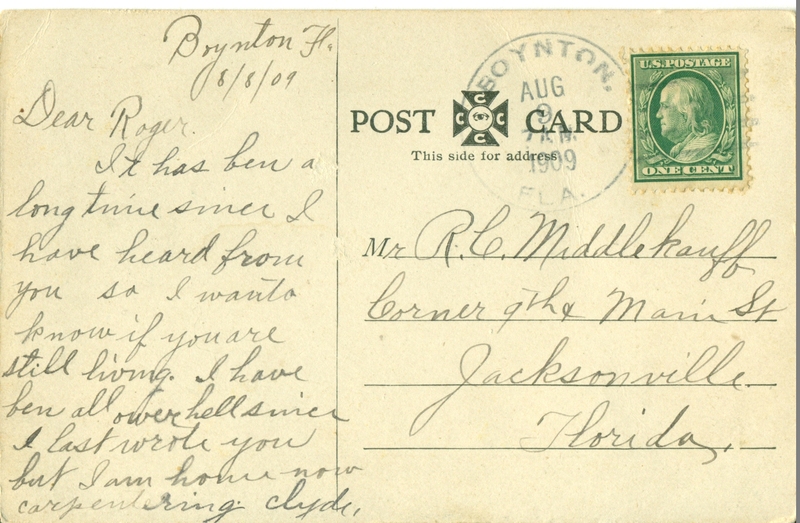 I had an idea of who the sender was – there were only two young men named Clyde living in the Boynton area in 1910. The Norwegian barkentine ship is legendary in Boynton Beach. During the pioneer era of the 1880s-1910s, many ships reportedly ran aground and sunk in the waters only several hundred yards off the Boynton coast. 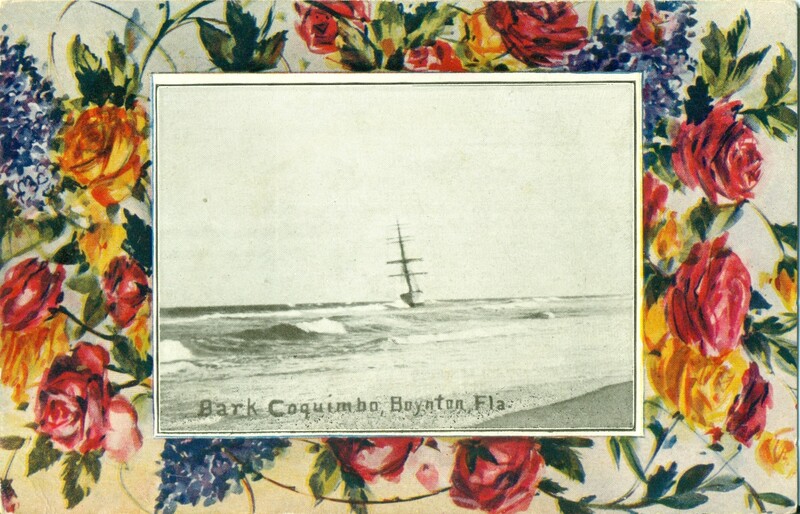 The Coquimbo is especially important to the history of Boynton as the 225-foot long ship carried a precious cargo of pine lumber and many of the early frame houses and buildings were constructed with the lumber. After the barque ran aground on a reef January 31, 1909, the 15 crew members were rescued and reportedly camped on the beach using the ship’s sails as makeshift tents. 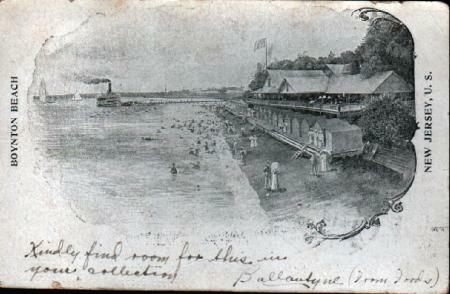 The big sailing ship drew attention from the guests at the Boynton Hotel and was the talk of the town. After efforts to right the ship failed, Capt. 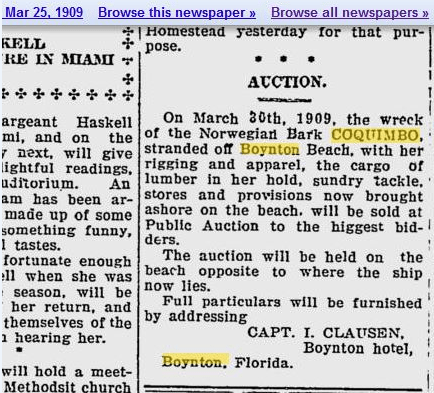 I Clausen placed a notice for auction in the Miami Metropolis, auctioning off the cargo, rigging, supplies and most useful of all to the people of Boynton, the lumber. 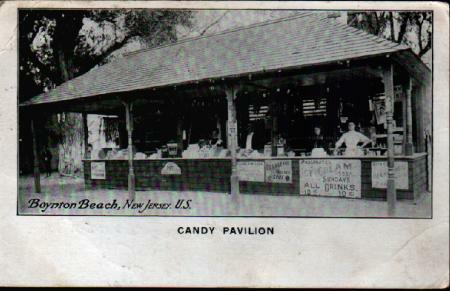 The precious postcard held several clues. Initially, I suspected the card was sent by Clyde Murray, the oldest son of Horace B. and Mary Murray. 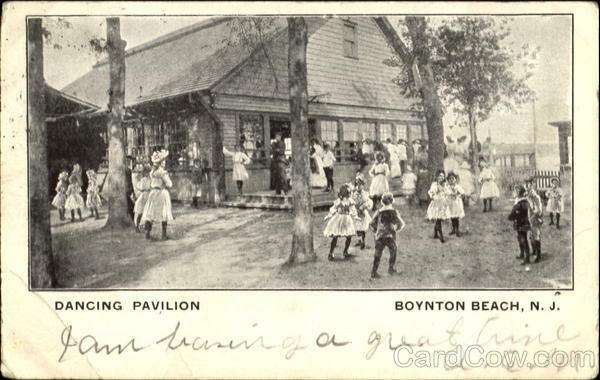 The elder Murray, a carpenter and farmer, arrived in the tropical wilderness we now call Boynton Beach from Michigan in January, 1896 to build Maj. Nathan S. Boynton’s beachfront hotel. 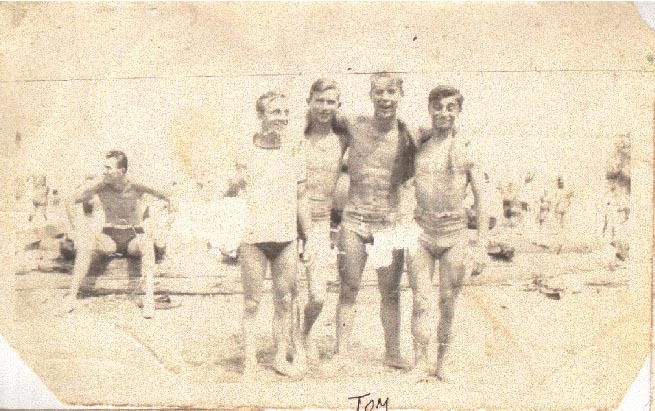 The fact that the sender came back “home,” and was “carpentering” sounded like a Murray following in his father’s steps. 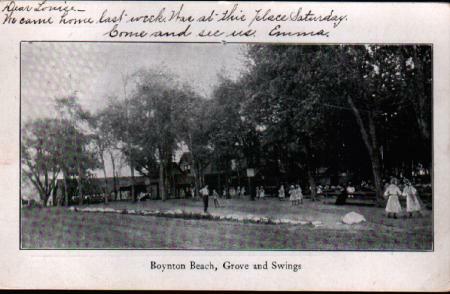 This message also shed light on the massive building boom in Boynton, providing evidence to the stories about the many houses and buildings constructed of Coquimbo lumber springing up between 1909 and 1911. The sender evidently returned to Boynton to lend his carpentry skills to aid in the building boom. My hunch proved wrong. After checking census records, I discovered Clyde Murray was born in 1893 rendering him merely 16 years of age in 1909. Now to check out the other Clyde! C.O. 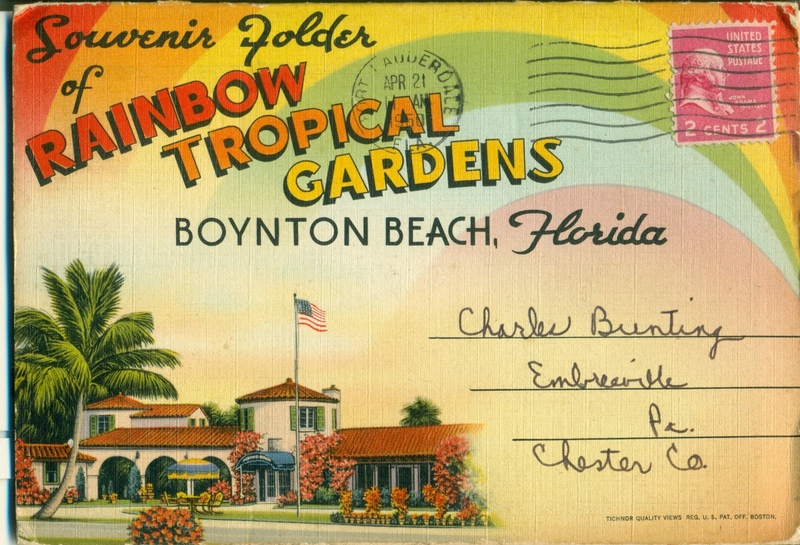 Miller is best known for creating Boynton’s most enduring and splendid roadside attraction, Rainbow Tropical Gardens. 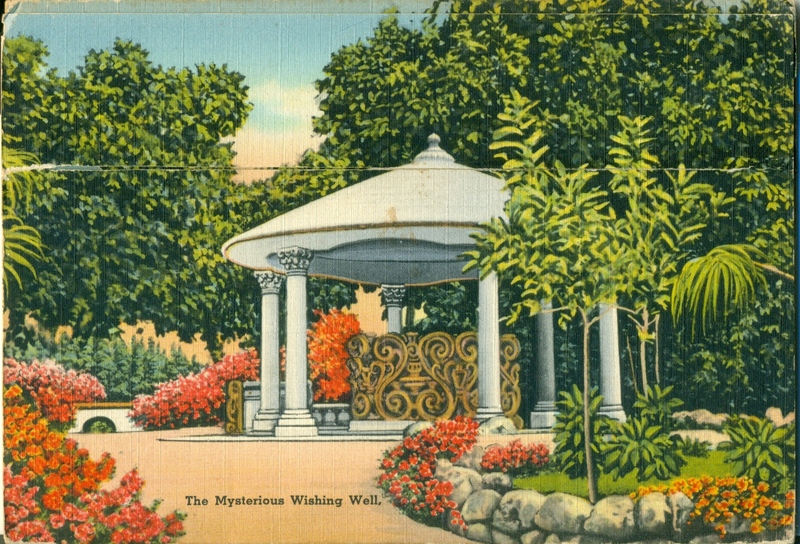 In addition, the master gardener designed the exquisite gardens of the famed Addison Mizner designed Cloister Inn. 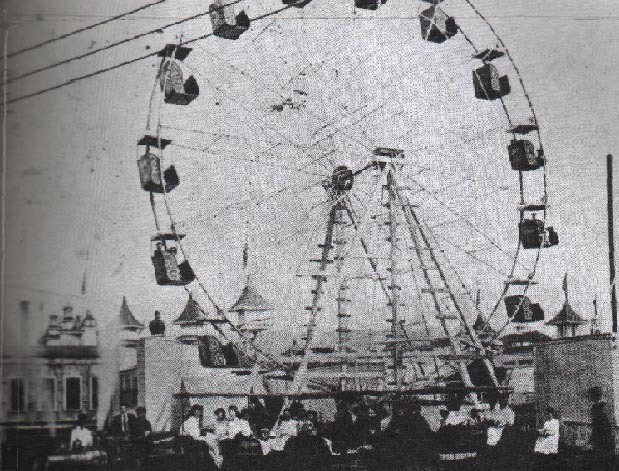 Born Clyde O’Brien Miller in 1885, near Logansport, Indiana, Miller worked as a brakeman for the Pennsylvania Railroad before settling in Boynton in 1909. 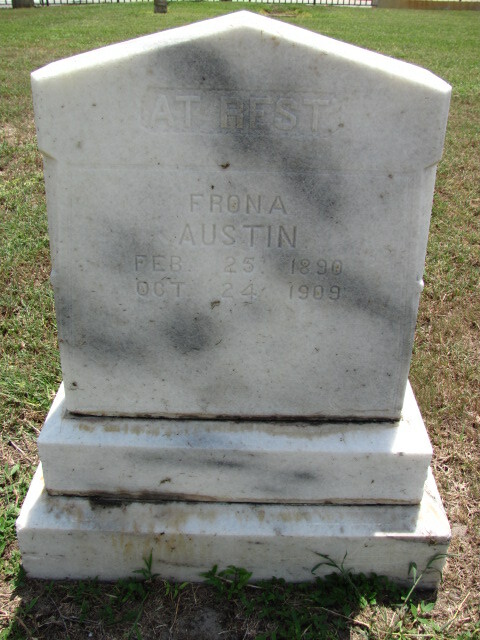 A year later, at age 25, he married Leona Austin, one of Frank Austin’s three daughters. 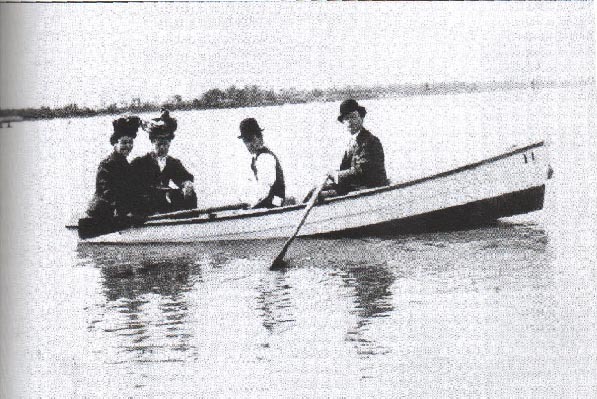 The year before Clyde and Leona’s nuptials her sister Frona drowned in a tragic accident, while attempting to cross the canal on a waterlogged barge. 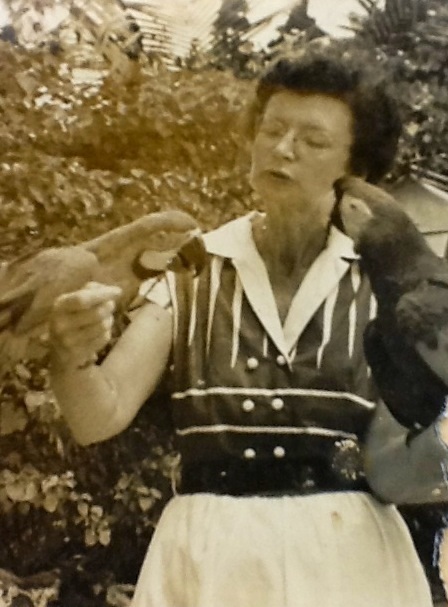 A third sister, Nellie, married Capt. 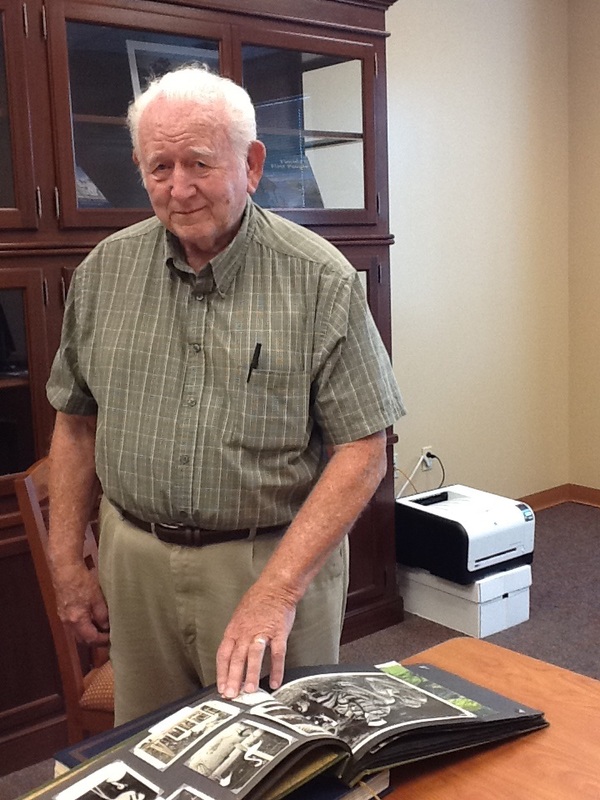 Walter “Pop” Lyman, son of Lantana founder, M.B. Lyman. 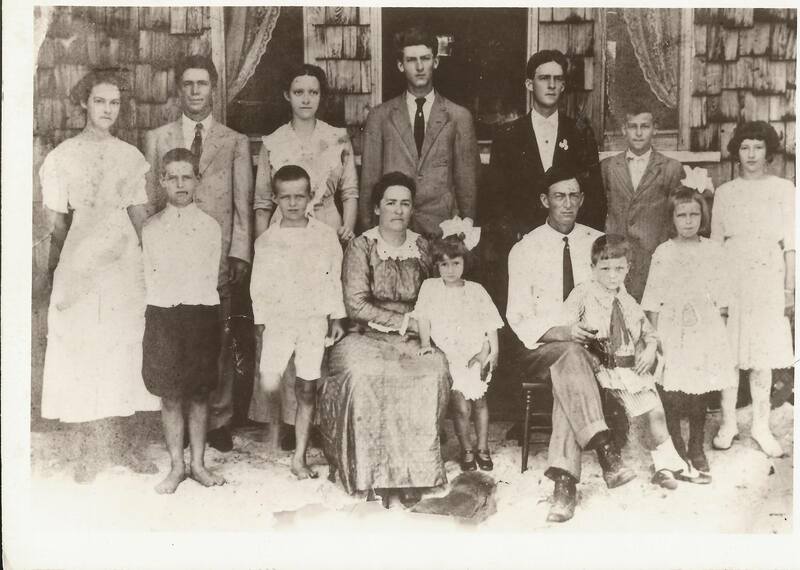 The population of the Boynton settlement at that time numbered less than 700, and it is possible Miller met Miss Austin at her father’s store or at a Methodist Church activity. As a carpenter, Miller likely needed building supplies and tools from the store. 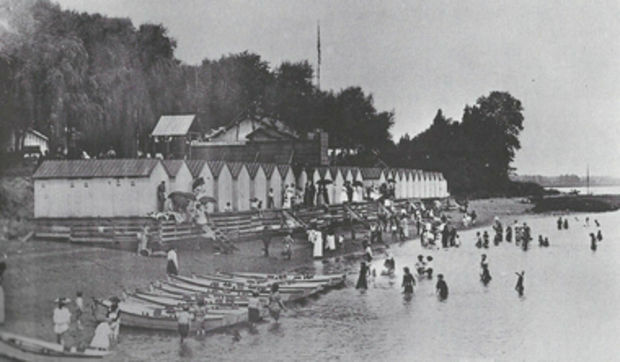 By following census records, news accounts and government documents, it seems Miller did indeed move about or travel often (as described in his 1909 postcard). Clyde Miller and Leona Austin had four children, including Vivian Alice, Clyde Austin, and Merna. 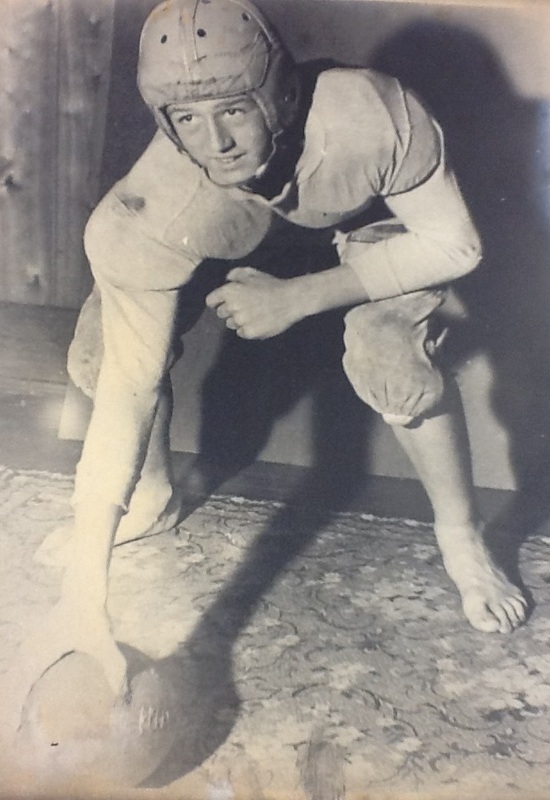 The firstborn, Averon Mae, born January 19, 1911 in Logansport, Indiana, died at about age six, probably from the influenza epidemic that claimed the lives of many, especially the very young, the elderly and the infirm. Averon’s tiny body has rested in Woodlawn Cemetery, West Palm Beach since her 1917 death. A World War I Registration Card dated September 12, 1918, listed Miller’s occupation as a fisherman at Webster’s Fisheries in West Palm Beach. The record describes him as tall and stout, with light blue eyes and dark hair. 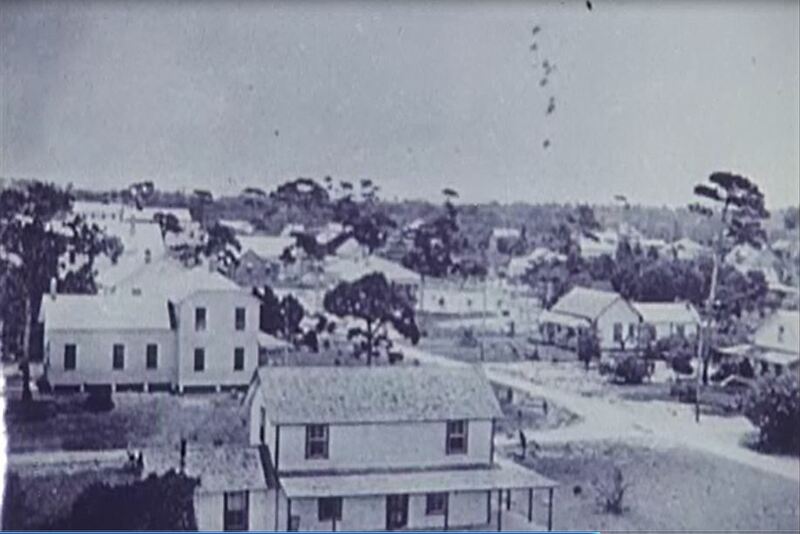 He served as a sheriff in Okeechobee briefly after the War. 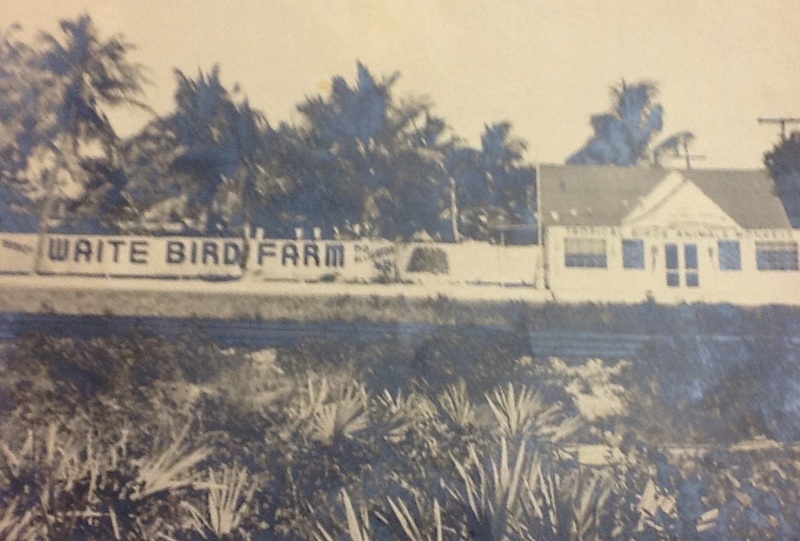 By 1921, Clyde owned and operated Rainbow’s End Nursery on north U.S. 1. 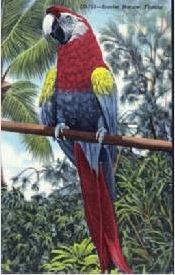 He specialized in tropical and semi-tropical plants. 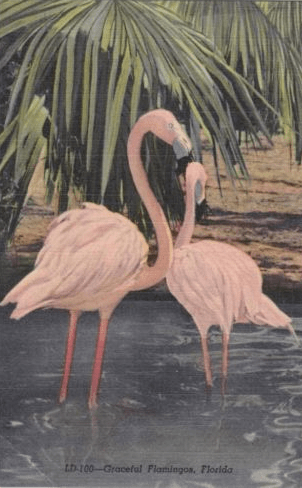 This nursery became Rainbow Tropical Gardens, one of the most famous attractions in Palm Beach County in the 1920s-1950s era. 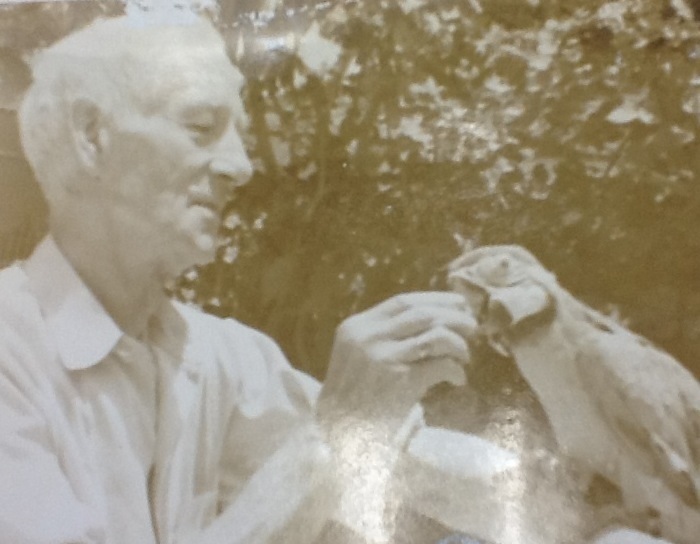 More on Clyde Miller, Rainbow Tropical Gardens and its incarnations in an upcoming blog.